Cameron Wake scored a ton for Oundle. 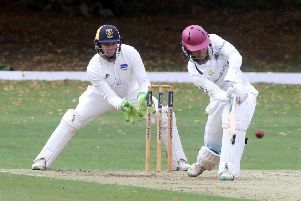 Aussie Dean Jones cracked the biggest score of last weekend, 150 for Ramsey in a 119-run win over Wakerley & Barrowden in Rutland Division Five. Chris Morrison, one of local cricket’s finest Aussie imports, made 57 in the same game. Alex Mears of Ufford Park seconds appears in the batting and bowling charts this week after scoring 62 and taking 5-16 in a Division Seven win over Long Sutton seconds.